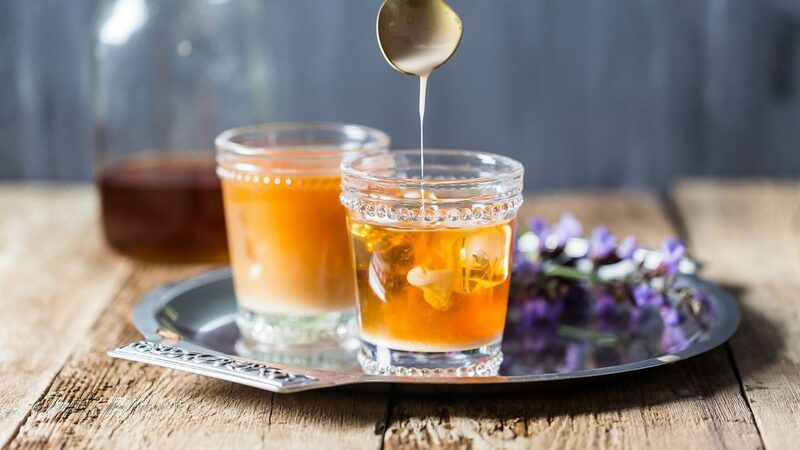 This is a simple recipe to make sweetened condensed milk plant-based. Condensed milk is great to have for baking or as a topping for dessert. It’s also delicious in chilled summer drinks, perfect for those summer BBQs! The best part is that it can be made in advance so you can always be ready for last-minute entertaining. 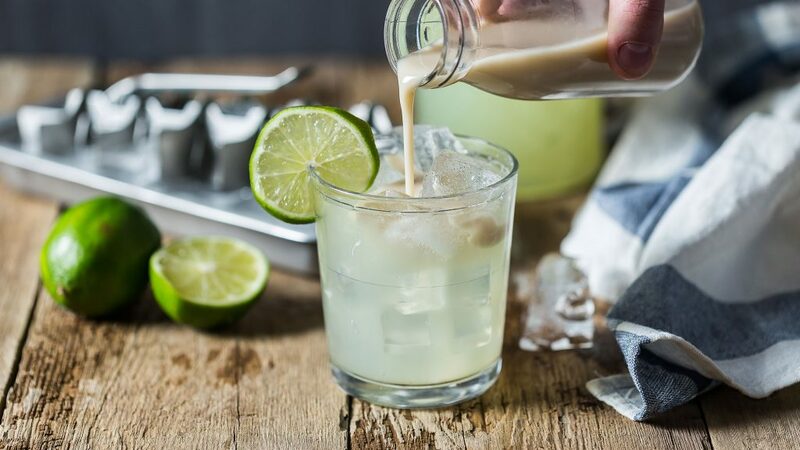 I’ve compiled three of my favorite cold drink recipes that feature condensed coconut milk to get you started. Don’t be afraid to get creative and see what else you can enhance with a drizzle of this decadently gooey coconut goodness! Add coconut milk and sweetener to a saucepan over medium heat. Whisk constantly until the sweetener is fully incorporated. Bring the mixture to a boil and reduce to a light simmer. Cook the mixture for 35-40 minutes, stirring every 10 minutes or so. It will be ready when it has reduced by at least a third, as is slightly thicker and darker (it will thicken up much more in the fridge). Place in an airtight container (a Mason jar works great!). The condensed coconut milk will keep up to 7 days in the fridge, but I highly doubt it will be around that long. Cold brew your coffee by placing the coffee grounds and cold water into a bowl. Stir well, cover and let stand at room temperature for 24 hours. 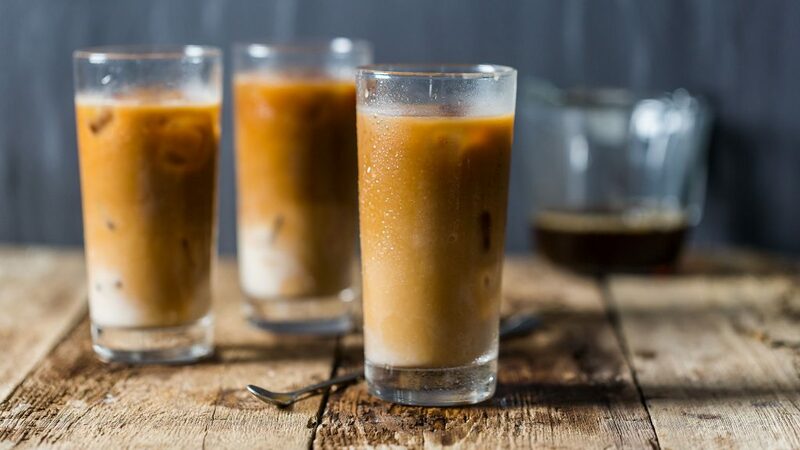 Brewing coffee this way makes for a smooth coffee that is perfect for a chilled summer drink! Strain the coffee twice through a coffee filter or fine sieve (or a strainer lined with cheesecloth). This coffee concentrate can be stored in an airtight container in the fridge for up to a week. To serve, add desired amount of condensed coconut milk to the bottom of a tall glass. 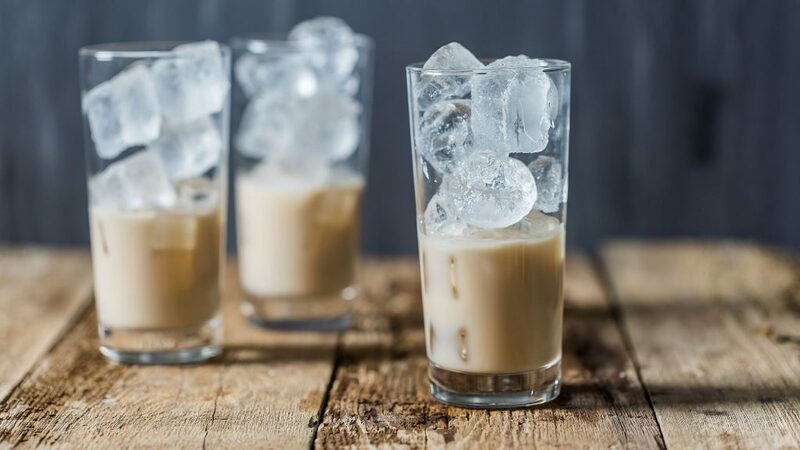 Fill glass with ice and then top with chilled coffee. Stir with a long spoon (or let your guests stir for themselves) and enjoy! Bring water to a boil in a large saucepan. Remove from heat and let sit for 30 seconds so that it’s no longer bubbling. Add black tea and let steep for 5 minutes. Set a timer so that the tea doesn’t become too bitter! Strain tea into a pitcher (or remove tea bags). Stir in vanilla and sweetener, if desired. Chill tea in refrigerator for 2 to 3 hours. For advance prep, you can make your tea up to 4 days in advance and keep it covered in the fridge. 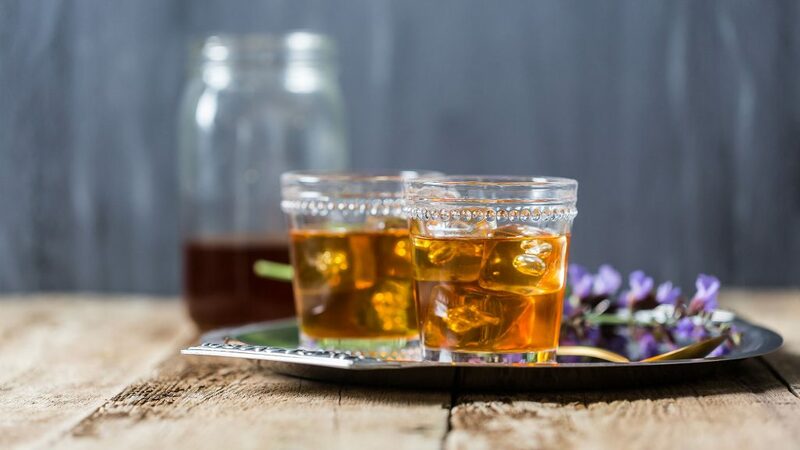 To serve, fill a glass with ice and then fill ¾ full with iced tea. Add desired amount of condensed coconut milk, stir and enjoy! Add sugar to cold water and stir very well. This can be done ahead of time and kept chilled in the fridge. Wash limes well with soap and rinse thoroughly. The limes will be blended with their skin on, so you may choose to use organic limes. Trim off the ends of the limes and cut into eight even wedges. 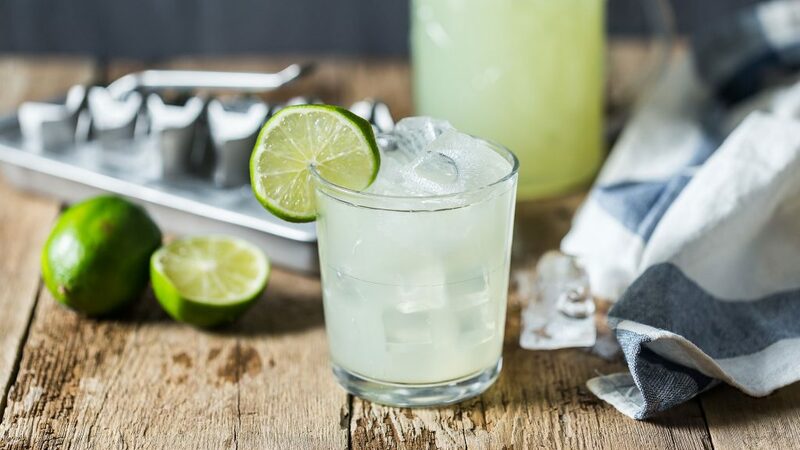 Place ½ of the limes and ½ of the sugar water into your blender. Pulse 5 to 6 times and then strain into a pitcher, pressing the limes with the back of a spoon to get out as much liquid as possible. Empty the strainer and repeat this step with remaining limes and sugar water. Add sweetened condensed milk, starting with 4 tablespoons and then taste testing. Add more condensed coconut milk if it is too bitter. Serve over a full glass of ice. The limeade will become bitter quite quickly so it is best to blend right before serving.